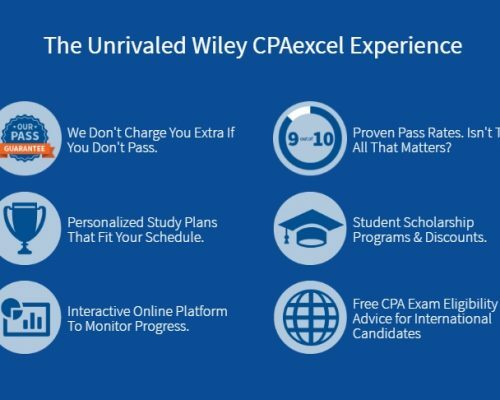 A part of the Wiley Efficient Learning family of study programs, Wiley is one of the more popular CPA review programs in America today. 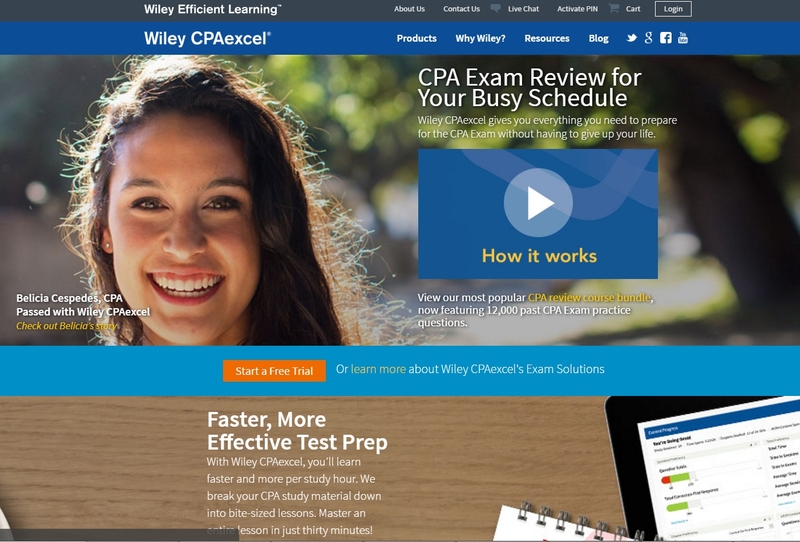 The Wiley program focuses on the essentials of the CPA exam without a lot of excess material or speculation, and is designed for anyone who needs to study CPA material without having the time to devote to more structured class settings. Features include over 12,000 exam questions and a team of accredited university professors to craft content for each course. Lessons are taught in small units for easier learning and retention. Packages are relatively expensive at all tiers. No packages are available for less than $1,400. 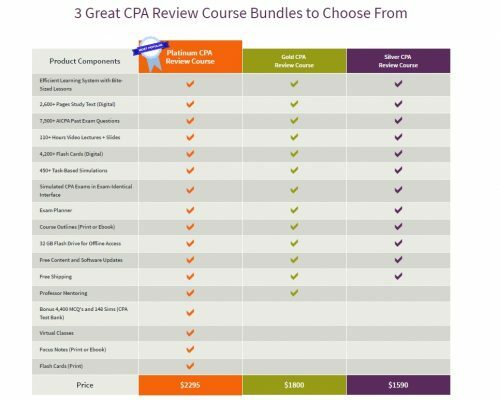 The lowest-cost course is missing several key study aids and tools, so be sure to compare options when evaluating the prices. 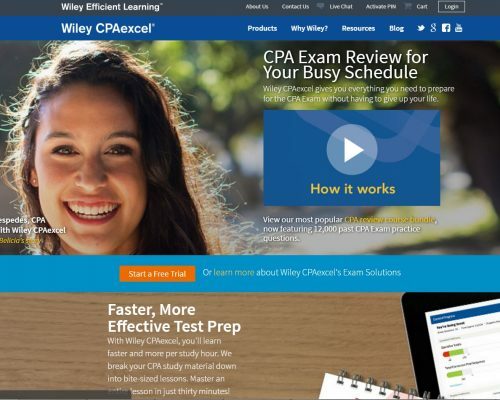 More than 12,000 CPA exam questions are provided to simulate the experience of taking the real exam. 600 task-based simulations are provded with the goal of giving more hands-on experience to students. Wiley’s “Bite-Sized Lessons” provide lessons in thirty-minute increments for increased convenience during your studies. More than 110 total hours of instruction are provided, which is frequently updated. A free flash drive is provided with lesson plans for offline access to the lectures at all pricing tiers. 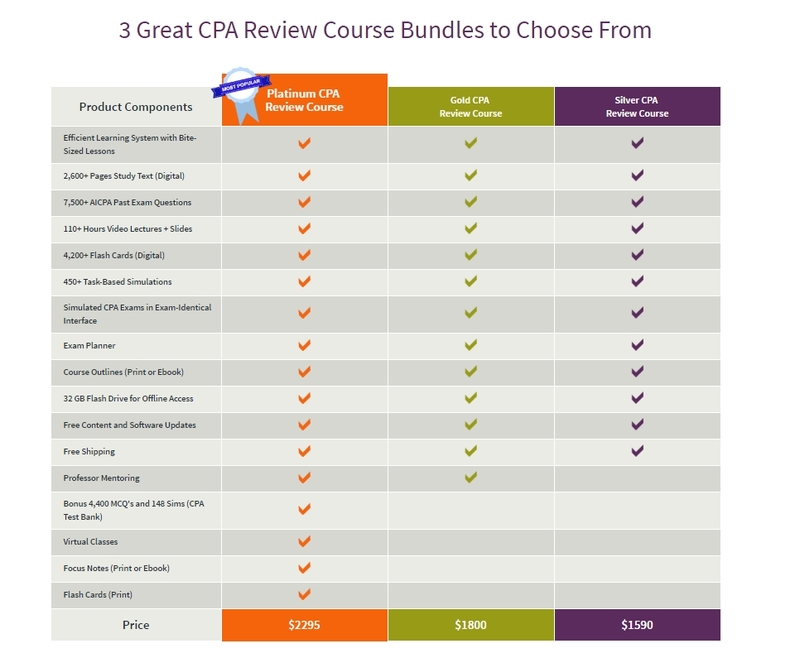 Course repeats and software updates are free until you pass the CPA exam. 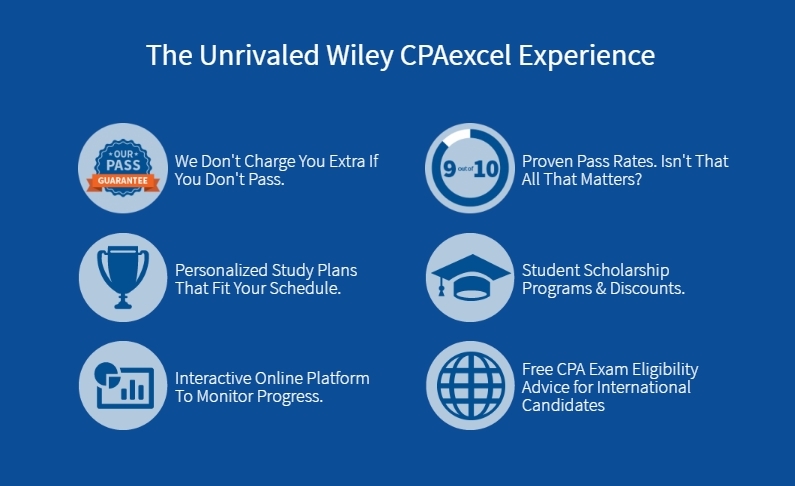 Free online upgrades are available throughout the period of enrollment.Wiley CPAexcel’s online study materials provide study text, video lecture instruction, CPA Exam questions, task-based simulations and digital flash cards. They also provide printed textbooks, flash cards and focus notes. The core study materials are available to all students, but the supplemental online test bank questions are only available at the Platinum Course level, so keep that in mind if you are comparing prices. The standard course length that Wiley offers is 18 months, with an option to extend up to 24 months, but unfortunately they do not have an unlimited course guarantee like some of the other providers. Course repeats and software updates are free until you pass the CPA Exam. They offer a free trial period, which could help you decide if the materials and course are the right fit before purchasing.